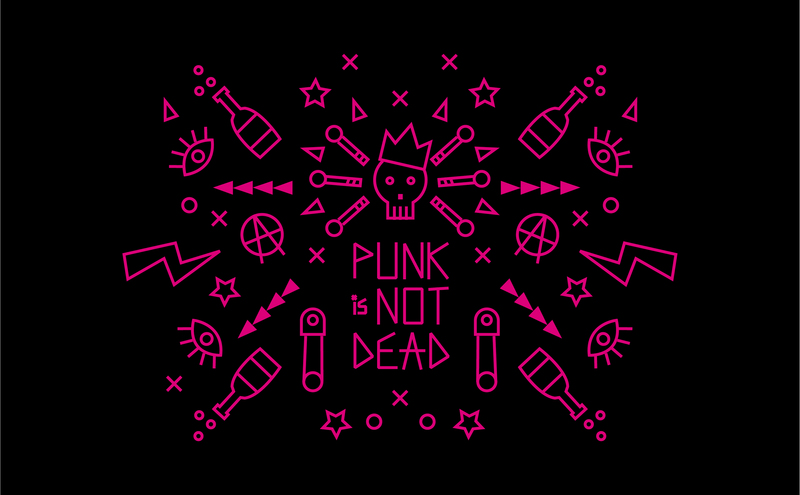 Logo and visual identity design for „Punk is not dead” research program run by THALIM (French National Center for Scientific Research CNRS). The design consisted of trademark, font, poster, program and other printing materials, gadgets, animation and web design. The website includes information about the program and the researchers involved in it. It talks about about a research that has been running for several years in form of moveable conference and that follows the present activity of punk subculture members in France and UK. Website for an university group studying the history of French punk-rock music scene. A bold use of color, illustrations, custom typography all stemming from a strong visual identity.